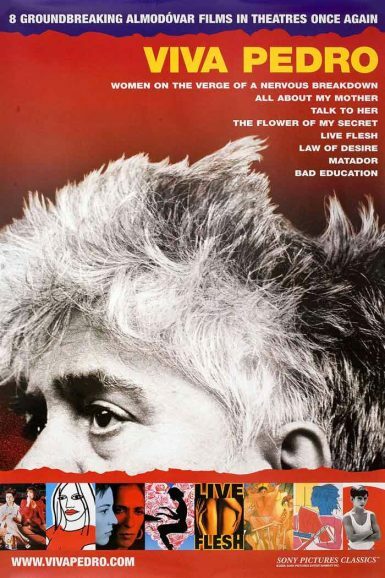 Pedro Almodóvar (born September 25, 1949) – the spectacular Spanish auteur behind Women on the Verge of a Nervous Breakdown (1988), Tie Me Up! Tie Me Down! (1989), All About My Mother (1999), Volver (2006), and more.